Find out how to go about choosing the right colours and coordinating them, when decorating your home. Keep a record of interior colour schemes that you love from magazines and digital platforms. If you have found your ideal colour scheme in a book or magazine and the paint colours are mentioned, be aware that colours almost always look different when photographed or printed and may vary a lot from the actual colours used. To avoid disappointment, take the image to your paint store and match to the closest paint swatch there. The colours you choose will affect the atmosphere and energy of the space. Generally, the warm colours of the spectrum like red, orange and yellow add energy - perfect for spaces where you want to create an uplifting, stimulating and social atmosphere. The cooler colours - blue-green, blue and purple are more calming and relaxing. to learn more about the energy of colour see How colours affect the mood in your home. Light paint colours are usually best for large rooms, as dark rich colours in a large space may be too overpowering. 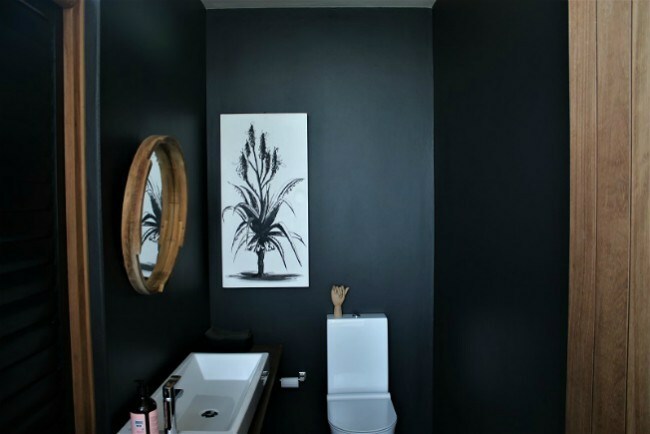 Contrary to popular belief dark rich colours can be used in small spaces to create an intimate interesting space. If you would like a small space to appear larger than it is, cool light colours, like sky blue, recede making a room appear larger than it is. Warm rich colours like red, advance making a wall appear closer. Red at the end of a passage would be a good choice if you wanted to make long passage appear shorter. The colours you choose will also affect the perceived temperature of a room. If you looking to paint a naturally cool bedroom blue, look for a shade that has a warmer undertone so that the room does not appear even colder than it is. Add lots of warm accents in orange, red or blue to add extra warmth. Vice versa for a warm room - red and orange will make a room feel warmer than it is. If you have selected furnishings in your room already - like a beautiful rug, fabrics or an artwork, use them to help you pick a paint colour. This will create a more cohesive and considered colour scheme. Balance cool colour schemes with some warm accents and add some cool accents to warm colour schemes to balance them. Green is a wonderful balancing colour. If you feel a colour scheme is not working add some green plants and you will be amazed at the difference they make. Selecting a neutral colour as a base for your interior is a great way to create flow throughout the home. 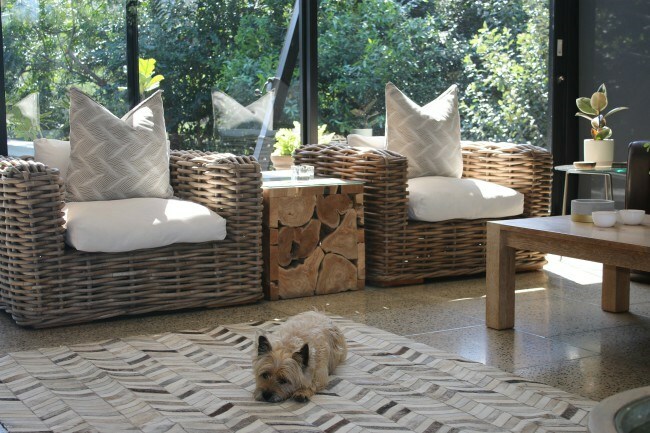 If you go for an all neutral colour scheme be sure to add lots of different textures like wood, sisal, wool and leather. While there are no longer any rules, generally colours that have a similar tone work well together. A bright blue and a bright yellow for instance can look great together. A pastel blue with a bright yellow however may not work well at all. To be on the safe side it is easier to keep a pastel colour scheme pastel and a bright colour scheme bright. Neutrals on the other hand go with everything. 9. Adding interest to your colour scheme. Accent colours are a great way to add interest and uplift a colour scheme. just think of a bright pink flower on a black dress. 60-30-10 is a popular method used for colour scheming. Where 60 refers to the main colour used for 60% of your room - usually the wall colour. Another colour in a similar shade and tone is used for 30% - this could be the furniture and carpets. The last 10% is for an accent colour in a totally different colour. This could be an accent wall, or a colourful piece of furniture or fabric. The effect of natural light entering the room will affect the wall colour. Be sure to test the colour on a piece of mounting card (1m x 1m) and place it on different walls of the room. Note how the colour changes at different times of the day. Tip. 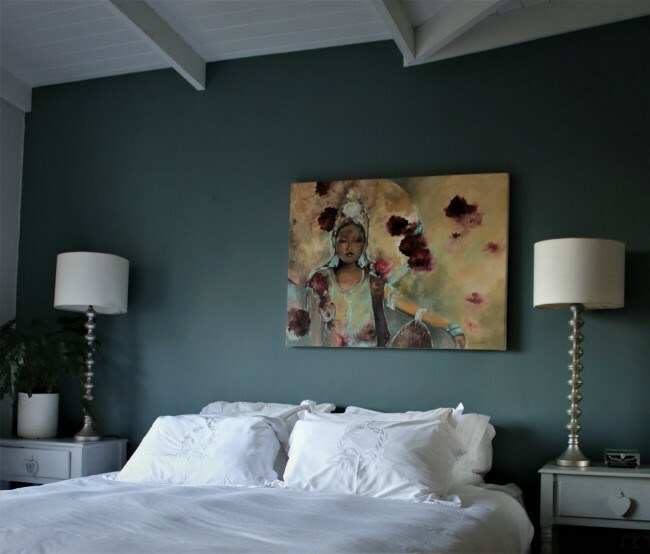 When choosing an interior paint colour, the colour often looks darker and brighter when painted on the wall. To get the wall colour you are looking for you may need to go for a lighter and slightly more muted colour than the paint colour swatch you like.